Kosher Guru Consulting provides highly personalized consulting services in the hospitality business. We service independent restaurant groups, restaurateurs, and entrepreneurs who are planning the development of their first or next restaurant concept – whether full service, fast casual, or hybrid. With a combined 50+ years in the business we believe we can assist in a successful development of a new restaurant, from build out through daily management. We at Kosher Guru Consulting consulting can just as well assist in turning around a restaurant who might be struggling to reach their goals. Whether turnaround is already a must, or is something the establishment obviously wants to avoid, early recognition and diagnosis are vitally important. 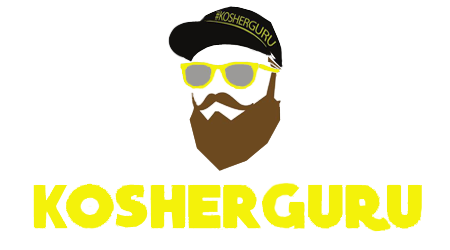 The Kosher Guru Consulting team will focus their knowledge and talent to assess your specific needs and areas of vulnerability, formulate an effective restructuring plan, and monitor its implementation. Our Operations Review Team will uncover the cause of performance shortfalls and propose an action plan that is practical, measurable and time bounded. We then assume crisis management roles as consultants to the principal, chief executive officer, or interim senior management to accomplish specific results, such as operational improvements in under performing enterprises, or to effect an orderly change in management or ownership of the business. In doing so, Kosher Guru Consulting creates market advantage – through menu development, menu makeover, menu engineering, menu presentation, recipe development, food cost analyses, portion control, purveyors audit, purchasing specifications, recruitment of culinary talent, overall creative direction, public relations. and branding. Kosher Guru Consulting will assist the client to identify, negotiate and secure the appropriate culinary talent, food publicist, food writer, kitchen design firm, creative direction and management talent. Having a great concept is a good starting point but achieving success takes a lot more. To succeed in the restaurant world, your business needs to create, and maintain, BUZZ and CREDIBILITY. To do this you will need a well thought-out communications and marketing plan. Our Marketing and Communications Experts develop customized marketing and communications plans to suit your particular concept, target customer and budget. • Internet marketing including viral marketing, blogs, websites, etc. You dream… we’ll make it real. And really work. Our sensitive, customized, expedited approach defines the concept, the operational requirements, and the critical pre-opening path for the start-up of original concepts. Our approach is organized to manage the planning, progression and accomplishment of the major tasks and activities required by all professionals and subcontractors.